Amazon has announced a new version of the Kindle Paperwhite, the company’s most popular e-reader. 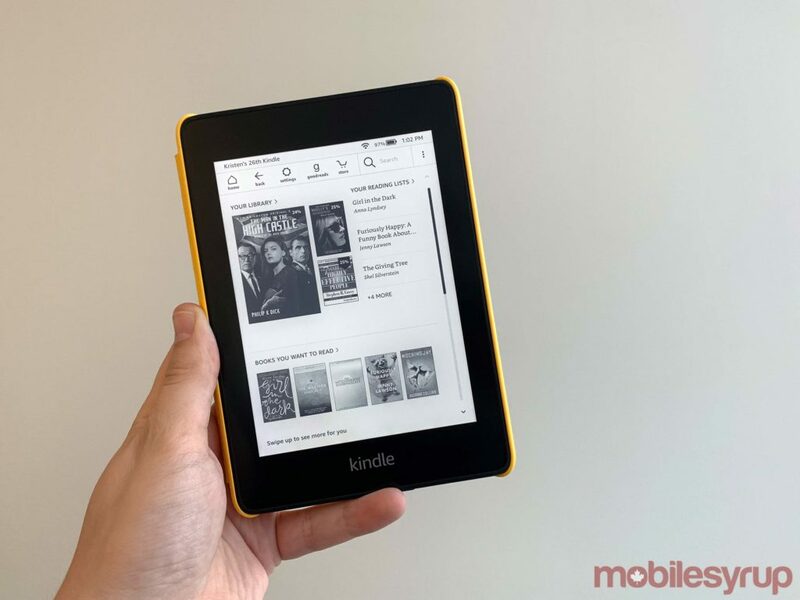 The online retail giant says the new Paperwhite features a thinner and lighter design, a “sleek flush-front display,” twice the internal storage and waterproofing, moving the e-reader more inline in terms of features with Kobo’s Aura e-readers. The new Paperwhite measures in at 8.81mm thick and 182g. The e-reader features a 1072 x 1448 6-inch display with a 300ppi pixel density and features improved brightness range when compared to its predecessor. 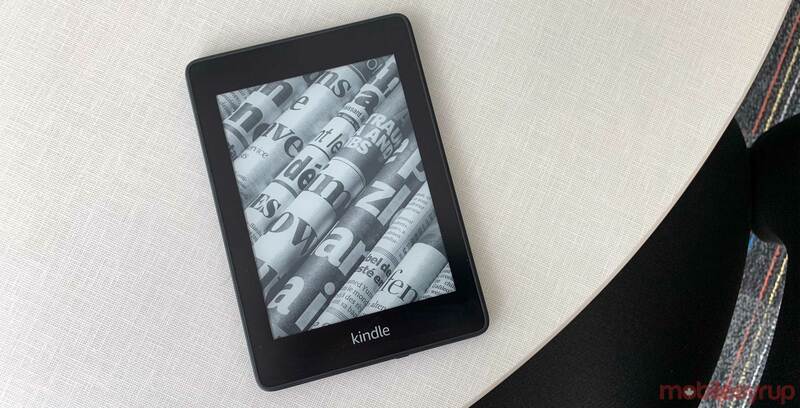 Amazon says that the Paperwhite’s screen is “glare-free” thanks to five adjustable LED lights located behind its e-ink display, allowing the e-reader to easily be visible under direct sunlight. Although the new Paperwhite isn’t IP68 water resistant like most modern smartphones, it now features a rating of IPX8. Given water-resistance ratings are defined by the device manufacturer, Amazon says that the new Kindle can be submerged in up to 1 metre of water for 60 minutes. The company says that the new Paperwhite has been tested in a bathtub, with of course, bubble bath, and even a hot tub. The ‘invert colours’ setting featured in the Kindle Oasis is also now available in Amazon’s new version of the Paperwhite. Storage wise, this new version of the Paperwhite comes in both 8GB and 32GB variants, which is a substantial step above the e-reader’s current 4GB of internal storage. Amazon is also launching an updated home display across all of its Kindle devices that aims to make it easier to find the next book you want to read, with recommendations being offered based on past books you’ve read as well as what your friends are reading. Further, it’s now possible to save multiple reading settings, including font, boldness level, display orientation and more. Navigating to the e-reader’s menu from any book allows users to quickly change various settings, according to Amazon. The new Kindle Paperwhite is available for pre-order now for $139 CAD, with both the 8GB and 32GB variant shipping on November 7th from Amazon.ca. 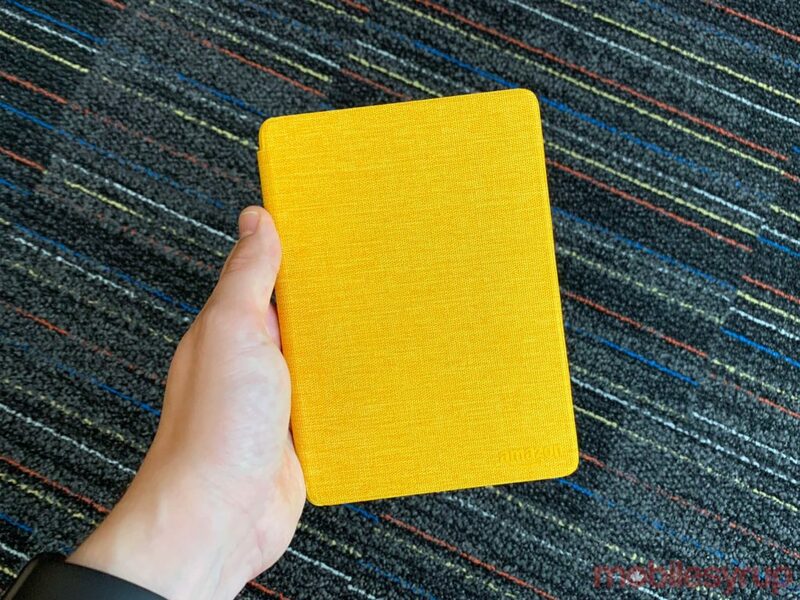 Amazon is also launching various cases for the new Paperwhite that cost between $39 and $79. Amazon’s Kindle line of e-readers has been available in Canada since 2009 through Amazon.com, with the device making its way to Amazon.ca in early 2013.